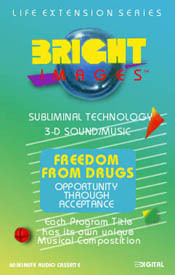 This program concerns itself with drug abuse. It will provide you with the alternative of loving life, loving yourself, accepting yourself and your environment. Your are a unique individual and can enjoy that concern to the fullest. You choose to be a strong, happy and healthy person, the person you want to be without the need for harmful drugs. You will become relaxed, confident, creative, useful and will develop an inner contentment.